Now that school is back in session, keeping buses on the road and in good working order remains a constant challenge for area school districts. HODGDON, Maine — Now that school is back in session, keeping buses on the road and in good working order remains a constant challenge for area school districts. 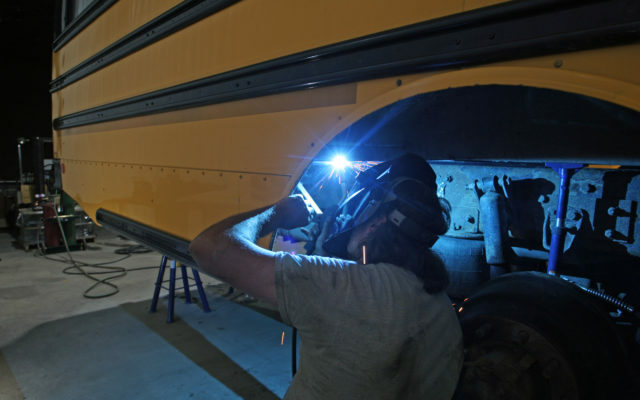 Fortunately for four local school districts and the Region Two Career and Technical Education program, a state grant has allowed them to create a regional bus garage to service school vehicles. 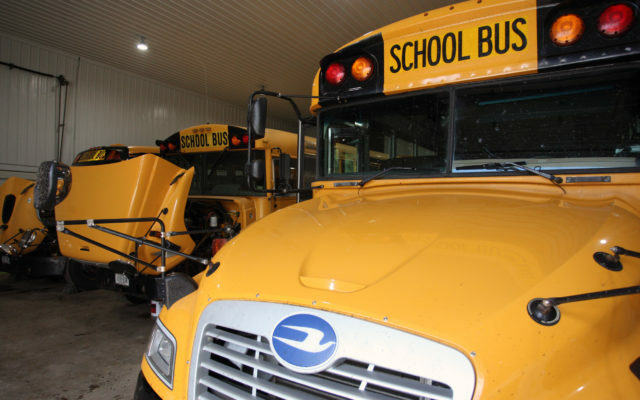 The Southern Aroostook Area Regional Bus Garage is a collaborative effort by RSU 29 (Houlton), SAD 70 (Hodgdon), RSU 50 (Southern Aroostook), SAD 14 (East Grand) and the Region Two Career and Technical Education program to help reduce maintenance expenses among the schools. Located on Bangor Road, also known as Route 2A, the bus garage is a former potato storage facility situated on a four-acre parcel of land in Hodgdon. It is about 5 miles from Houlton Middle-High School and Region Two; 4.5 miles from Hodgdon Middle-High School; 19 miles from Southern Aroostook Community School in Dyer Brook; and 34 miles from East Grand School in Danforth. The new facility, which underwent renovations to transform from a potato storage building to a working automobile garage, allows the five groups to employ a shared mechanic, Bill McCausland, who is dedicated to repairs and maintenance on all school buses and other district vehicles, such as pick-up trucks and minivans. About 70 vehicles from all of the school districts will be serviced at the center, which opened in mid-July. Halliday noted that the service center is not a “bus garage” where schools will park their buses overnight. Only those buses needing repairs or maintenance will be located there. Officials also are working on a few additional steps to have the center certified as an official inspection station for the buses and vehicles. RSU 29 serves as the liaison for the regional bus garage. Funding for the project’s startup costs was provided by a grant from the Maine Department of Education. The districts received $415,000 in grant funding to use to purchase, renovate and outfit their new building. The mechanic’s salary and operating expenses are shared evenly among the five school units. Halliday estimated the facility will save the schools as much as $802,000 over a five-year period. That number was originally estimated higher at $930,000 but has since been adjusted because the Katahdin schools will no longer be a part of RSU 50 and therefore not sending their buses to the center for servicing. An assistant position has yet to be filled, Halliday said, as they were not sure if that person would be a mechanic or someone with a clerical/custodial background.